One of the most memorable of Bible stories, this board book opens up the story of Joseph for children in a fresh, engaging way. 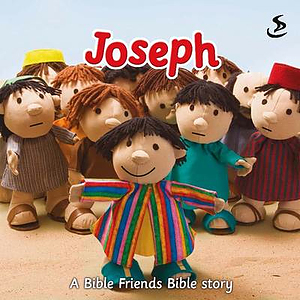 Joseph has many dramatic adventures in this retelling of a popular Old Testament story, especially for under-5s. The story of Joseph is told with adorable illustrations that will help young children to engage with the story. The book takes a cute board-book format that is perfect for small hands to appreciate. "Joseph" contains full-colour photographic spreads of adorable 'Bible Friends' characters, along with suitably short text for parents to read aloud. Joseph by Maggie Barfield was published by The Society for Promoting Chri in July 2010 and is our 11998th best seller. The ISBN for Joseph is 9781844272945.